Now is the time! Get ready to rhyme! 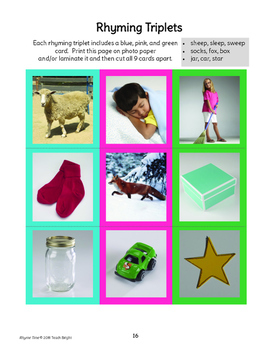 This resource includes 72 color photos to make dozens of rhyming word matches. No reading required. 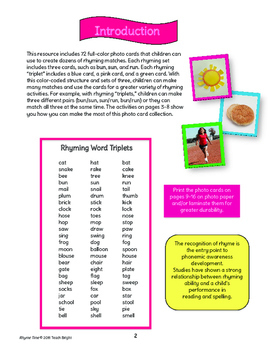 Perfect to develop phonemic awareness. 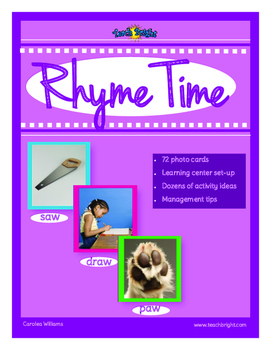 Includes everything you need to create a Rhyme Time Center as well as lots of activity ideas for using the collection of photos, such as an "I Have, Who Has?" 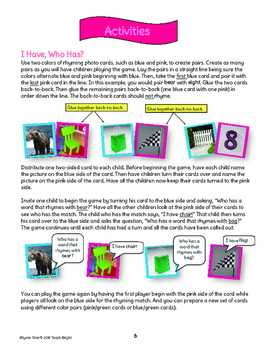 game, Bear Family rhymes, pocket chart practice, Flip-a-Rhyme, and many more.